Explorers Week 3 – Improving last Weeks Game! Can you believe the crowds we had again last week, another record 251 Ninjas and Parents attended Coderdojo Athenry last week. We were adding to and improving our game from last week. We added a sprite that would catch the fish and decided what could or would happen when this occurred. We discussed how to make a game more fun we have to add some complexity to it….we need to make it harder to play!! 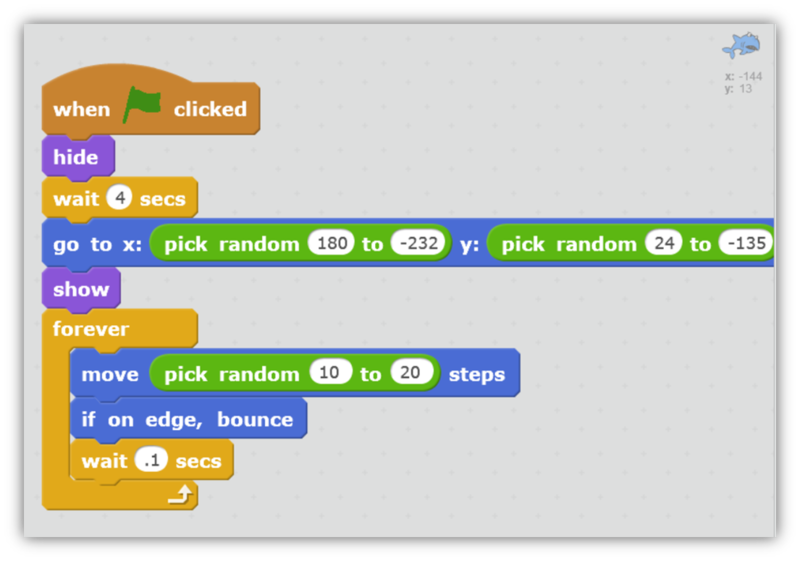 so to this end we used some code from our operator palette to add some randomness. 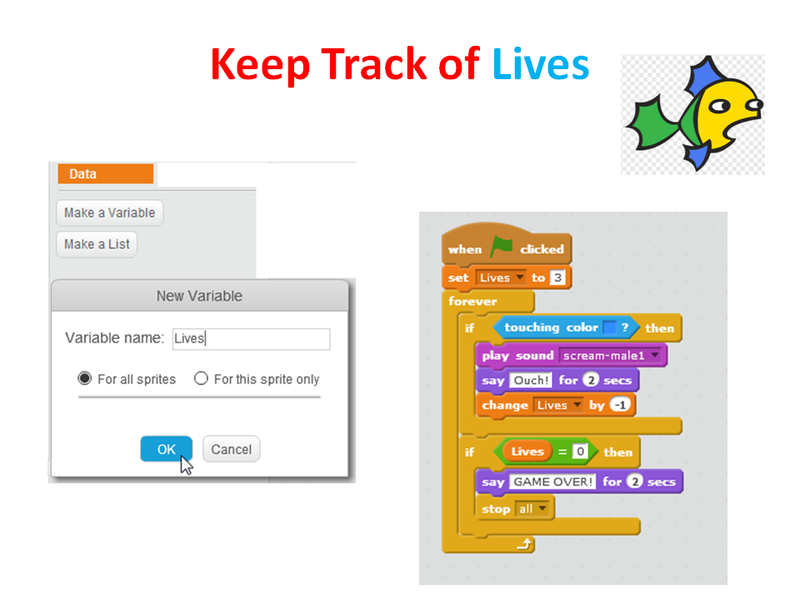 I also introduced Variables and how we can use them to keep track of things like Score or Lives. See you all this Saturday again. We will be starting a new game and Ill need your help. Firstly thank you for sharing your time with the Explorers. It is fantastic. I have fixed the link it should work now for you. Thanks Maria for letting me know.